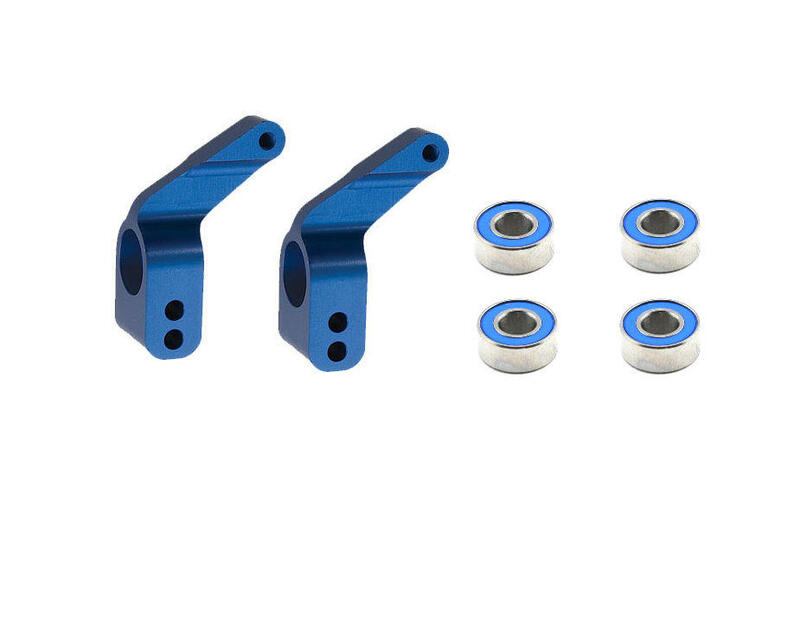 This is a set of two optional blue aluminum stub axle carriers with bearings from Traxxas. These stub axle carriers mount to the rear control arms, and support the rear axles. 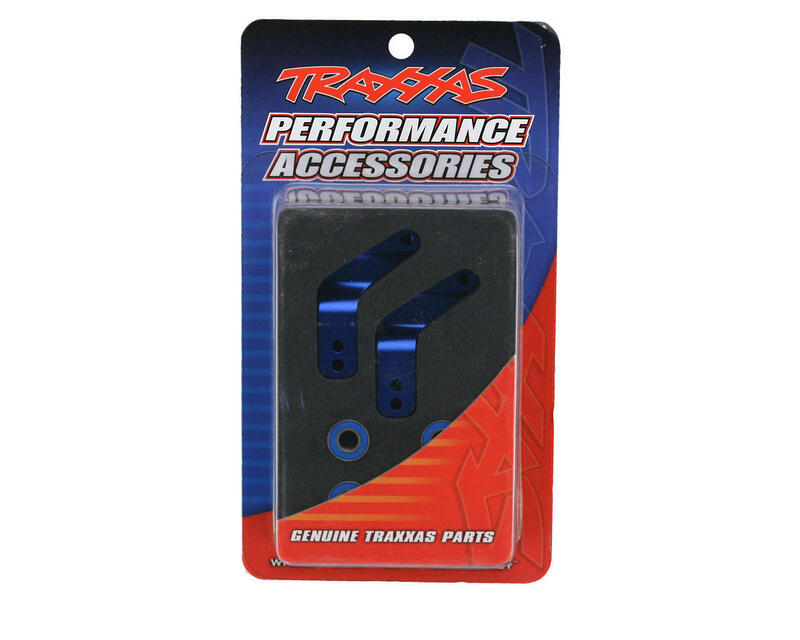 Traxxas aluminum stub axle carriers add both strength and beauty. In addition to the durability and precision of the machined billet 6061-T6 aluminum, larger 5x11mm ball bearings are included for smooth performance, reduced friction, and long life. Rubber seals on the bearings make them virtually maintenance free. Easy, bolt-on good looks in red, blue or green anodizing.